Well I couldn’t stop myself from writing 2 posts in one day, so this is the story of one of the most important components I had over time the Burson HA-160DS. It was one normal day at work. In a break I talked with Sandu about some stuff. It was then when he told me that HeadFonia had a photo contest where you could win one Burson HA-160DS. The contest was about girls and headphones. The photos should have contained beautiful girls and rare headphones would have been a plus. I am not a photographer, just an amateur. However I like reading photography stuff and taking a lot of different pictures whenever I go somewhere new. I was afraid of having this hobby in parallel. Nevertheless I still had a good camera : Panasonic Lumix FZ-35 and some friends with dslrs, so I thought to myself “what the heck? I like talking pictures, I can’t loose anything!”. The beautiful girls part was the easiest one, heck I live in Romania, actually, I even married one 😀 . Besides her, I convinced her sisters and cousins to participate >:) . Meanwhile, I was looking to buy a new apartment where I would move in with my girlfriend. She did not know yet, but I was plotting “against” her . My plan was to ask her to marry me the coming Christmas . I have read all there is to be read on diamonds. I knew every characteristic. While looking for the proposal ring, I had a funny encounter with a salesman. I was looking at a diamond ring in his store. Near the ring was a small glass magnifier. I asked about its purpose. He said that if I looked at the diamond from the ring with the magnifier I could see hearts. He said the diamond was VVS(very good cut level) . When I looked with the magnifier I saw a lot of inclusions(very bad if you can see them so easily). It was barely a SI cut diamond. He asked me what I saw. I told him “I see myself leaving your store!”. We did Christmas at her fathers’ house that year. It was a family tradition for the girls in their family (my wife and her sisters and cousin) to do secret Santa on Christmas. I put the ring in a Christmas tree globe (and with over 14 people in the room, I somehow manged to put it in the tree without any of them seeing it ), and after they gave each other their gifts, I said to my girlfriend in front of her whole family (even her grand parents were there), that she still had a gift in the tree, and that she has to look for it. When she found the globe, and she saw what was in it, i put myself in one knee and I asked her to marry me. Then it got blurry. The whole family was screaming, laughing, crying. (she said yes). And now back to the main story. After more than 6 months of searching for an apartment, we found a good one and bought it (with a mortgage of course). You can imagine that we had a looot of expenses that winter. Eh..well, exactly in that time Sandu presented me with a very good offer for a Burson HA-160DS that I couldn’t refuse. I was broke for 2 months, but it was worth it. I sold both my Corda Cantate 2 and Asus Xonar Essence ST.
Well…when I started listening to it, I felt I heard for the first time my HD650 to its full potential( at my home ). I fell in love with them . It was somehow similar to the time I listened to them for the first time at Sandus’ Woo Audio Wa6 Se + Havanah. The sound was fuller, the bass much more detailed and faster, more controlled, the mids were liquid and detailed, the brightness was gone. The PRAT was excellent, the soundstage was wider. The sound had almost a analog presentation and had a very good energy and PRAT. The level of details was a lot bigger than with the Essence ST. For me it was no level of comparison between what I had and Burson Ha-160DS. It was only then I started to appreciate the HD650 to their true value. I realised that my Xonar Essence ST was a poor dac for them, and even the cantate 2 wasn’t a very good match, or maybe I’m more into warmer sound. I am very sensible with bright treble. I found myself lots of times at 3:00 AM or 4:00 AM listening to music, not realizing how fast the time past away. I started liking the HD650 more than my grado rs2i. Don’t get me wrong, I still liked them a lot, but with Burson HA-160DS the Hd650 went up 2 classes. I’ve listened to a lot of headphones from then, but none impressed me in a way in which I would sell the hd650 and replace them with the new headphone. I found many that did more things better than the HD650, but the overall sound presentation did not impress me more than HD650. I was almost sure that for any headphone I would buy in the future, I would keep the HD650 to complement them and for long listening terms. 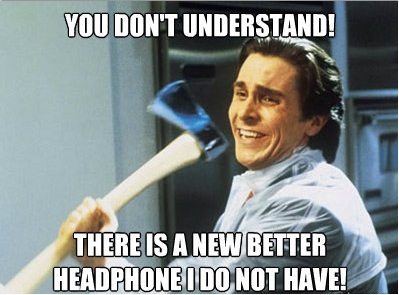 For example, If I would have bought a HD800 I would have surely kept the HD650. I was really happy with my system now. I also moved into the new apartment where I have my own desk and room, so I could happily listen to it whenever I was at home. While I was speaking with Sandu and praising my component, he said to me something that almost made me “table flip” : “So my friend, you got closer to hifi now!”. I was like….What??!!! I do not have a Hifi system yet?!?? !